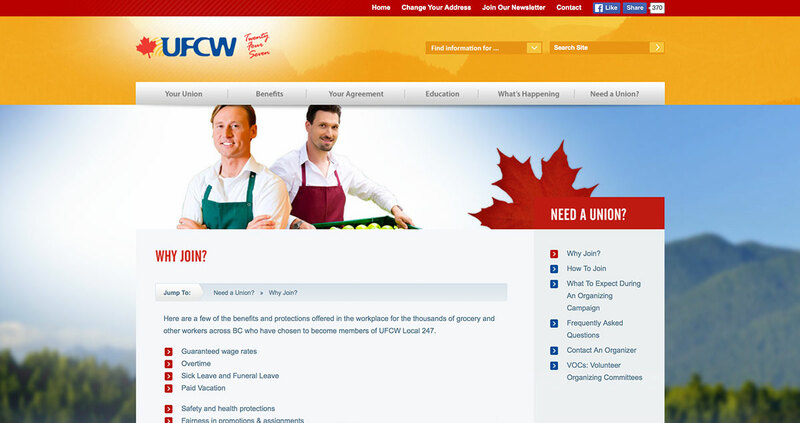 When United Food and Commercial Workers Local 247 wanted to upgrade their website, they looked to Media Dog Productions, which had successfully delivered web solutions for similar union-based clients. 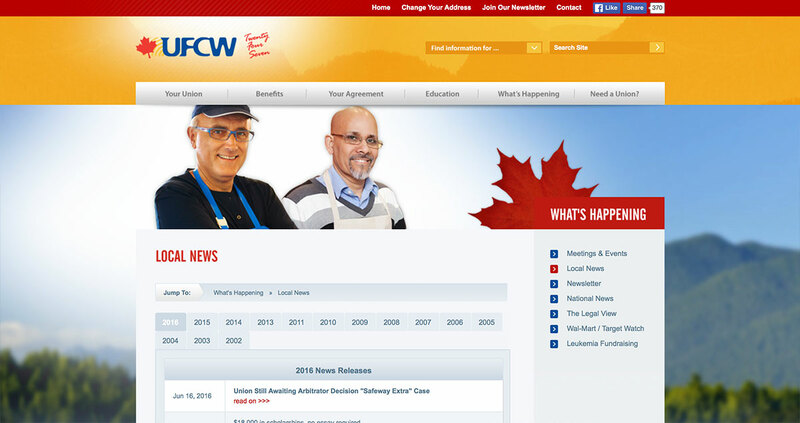 The new website allows users to stay up-to-date on issues such as member benefits, training opportunities and current news. 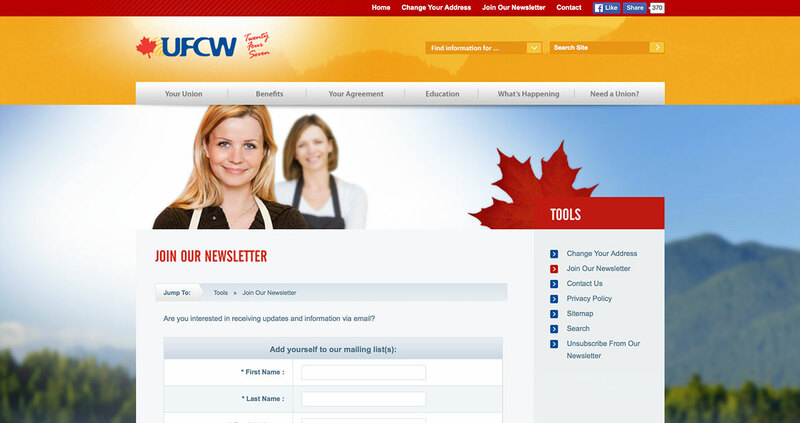 The integrated newsletter module makes large-scale communications very simple, enabling UFCW247 staff to easily create newsletters and distribute them accordingly to customized distribution lists. 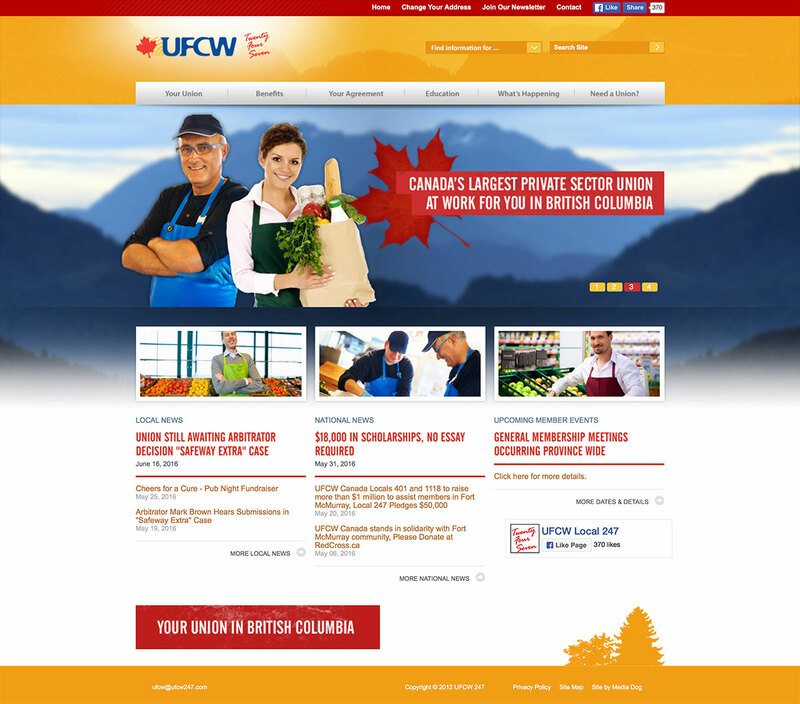 A redesigned website provided UFCW247 with a modern, updated look and user-friendly interface. Media Dog’s proprietary Conductor Content Management System was employed as the back end for their website. Conductor allows the client to easily manage website content.